Core Toyota models will get more powerful hybrid engines in the future. The reveal of the turned heads thanks to its quirky styling, but its sluggish performance left a lot to be desired. At the Frankfurt Motor Show, Toyota revealed a new concept based on the CH-R with even more unusual styling and a more performance-orientated hybrid powertrain. Called the C-HR Hy-Power, Toyota hasn’t supplied any specifications, but the concept crossover features a powertrain offering more power and performance than the 122-hp system in the current production Toyota C-HR. It represents a leap in technology that will pave the way for new performance hybrid variants of every core model. Details are still scarce for now, as Toyota will be sharing more information in early 2018. Exactly how much power we can expect from these “higher performance hybrid options” remains to be seen. In the US, the C-HR is powered by a 2.0-liter four-cylinder engine producing a measly and 144 horsepower and 139 pound-feet of torque, so a performance injection is more than welcomed. Created by Toyota's ED squared design studio in the south of France, the C-HR Hy-Power Concept’s outlandish styling is inspired by natural forces that turn carbon into diamonds and the fiery molten core concealed in solid rock. This is evident in the concept’s use of colors. A Dark Carbon matt silver paint provides a striking contrast to the “diamond-cut” film pattern of reds and oranges on the roof, front pillars, door mirror housings, and front grille. The theme continues inside with black upholstery and trim with Burning Orange details. 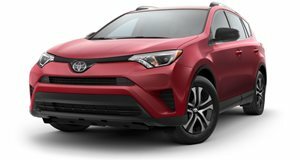 The challenge was not to stray away from the qualities that define the Toyota C-HR, but to add to them in a fresh and original way," said Lance Scott, chief designer for Toyota's ED squared. "For example, we wanted to retain the high quality of the production car, so we explored different ways of expressing uniqueness in the interior." By using a high-quality leather trim with a unique gradation yarn and stitch patterns, we're able to build on the fundamental qualities of the interior ambiance."